The name Hodnet is derived from ‘old’ Welsh hawdd ‘pleasant/peaceful’ + nant ‘valley/stream,’ and is usually interpreted as meaning pleasant valley. The Celtic origins of the name indicate that the settlement pre-dates the Roman occupation. At the time of the Roman invasion of Britain in circa AD 43, Shropshire was occupied largely by the Iron Age Cornovian tribe and it may have been a group of these people who had settled in Hodnet before the Romans. Evidence of earlier settlement in the area was uncovered during the construction of the Hodnet by-pass. During the summer and autumn of 2002, whilst the road was being excavated an early bronze age (1600 – 1400 B.C.) burial site was discovered, close to Espley Farm. At least 17 individual cremation pits were identified, containing charcoal and fragments of burnt human bone. The people living in Shropshire in the Bronze Age will mostly have been farmers, probably living in small communities, in family groups. The outer moat of Hodnet Castle. 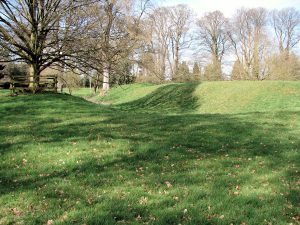 Although it is believed that the mound on which St Luke’s Church was built may be the site of a pre-historic fort, the earliest structure to be found in the village is the earthworks of Hodnet Castle, (now situated in the grounds of Hodnet Hall Gardens). 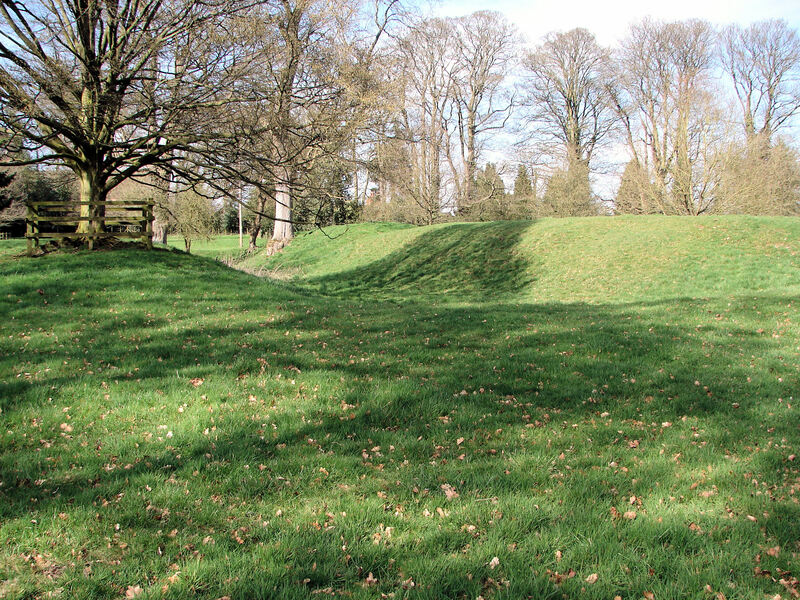 This was a Norman, motte and bailey castle, built by Baldwin de Hodenet c.1082. It is believed to have been built on a moated mound dating from early British times. A stronger, sandstone castle was built on this site in c.1196 and this castle was then destroyed by fire in 1264. Before 1066, Hodnet was a royal manor of Edward the Confessor, and it was ‘Caput of the hundred’ (explained later). Leading up to the Norman Conquest, the manor was under the stewardship of Earl Roger de Montgomery. He took William’s rather than Harold’s side in the dispute and retained the land after 1066. Montgomery put a lieutenant Baldwin in charge of the estate and, although the Montgomery family later fell from power and the lands were forfeited to Henry I, the de Hodenets (descendants of Baldwin) retained their position and were later granted the lands by Henry III. The estates of Hodnet passed down through the de Hodenet, Ludlow, Vernon and Hebers to the current Heber-Percy family. Thus, Hodnet is one of the few English estates which have passed in unbroken succession from the time of the Norman Conquest to the present day, and much of the old village property still remains in the hands of the Hodnet Estate. 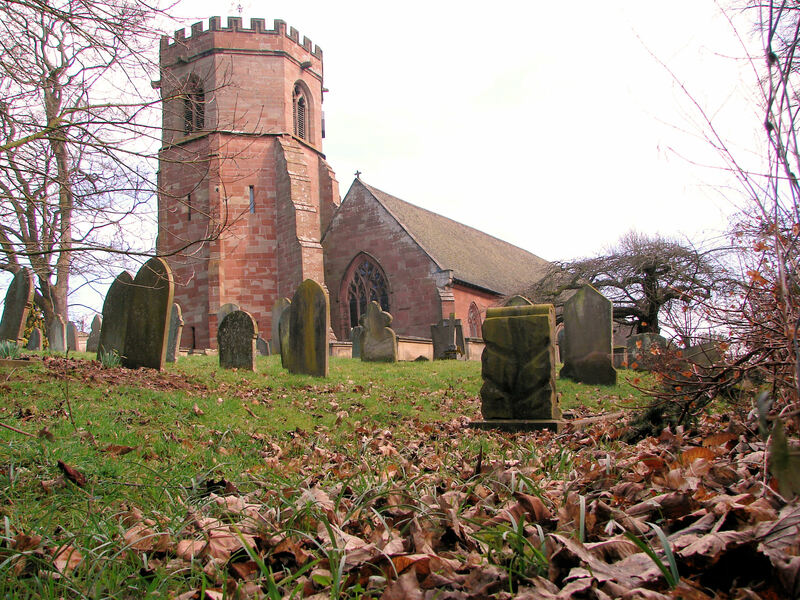 It is likely that the village of Hodnet grew up initially around the church and manor and only later developed further down the hill. This expansion probably occurring at the time of Henry III, when a market charter was granted to the estate allowing a market to be held each Tuesday. It was also around this time that a royal licence was granted, whereby the main highway from Shrewsbury to Hodnet could be diverted so that it no longer ran through the grounds of Hodnet Park. The Grade I St Luke’s Church. From the middle ages and into the 20th century, Hodnet was largely an estate village, with most residents living under a feudal system. An article from a 1950’s edition of the Shropshire magazine describes Hodnet as ‘the last stronghold of feudalism’. Today most of the older houses in the village still belong to the estate. St. Luke’s Church was founded c.1083, although it was then dedicated to SS. Peter and Paul. It is thought that the Norman building (some of which is still retained in the present church building) was built on the site of an earlier wooden chapel which had served the village. The church was later extended and restored and includes an unusual octagonal tower, built in the 14th century. It is the only example of this design of tower in Shropshire. The Hundred House with the tower of St Luke’s Church in the back ground. The Hundred House stands at the top of the village, close to the church. 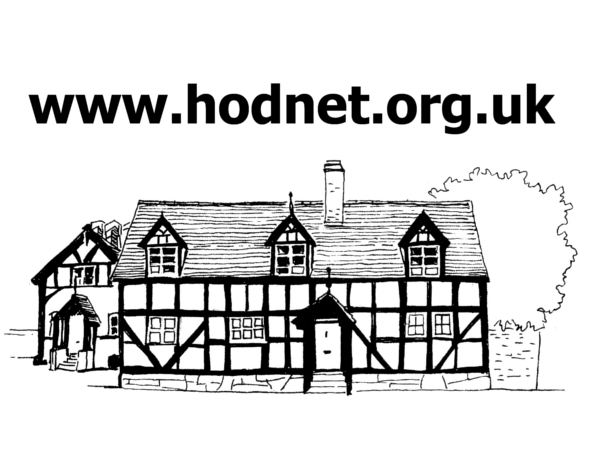 Hodnet was the meeting place of the Domesday hundred of ‘Odenet’. In Saxon times a ‘hide’ was the basic unit of land (enough to support one family), and one hundred hides formed an administrative area, ‘the hundred.’ The Hundred House was the meeting place where the men of the hundred would discuss local issues and conduct trials. 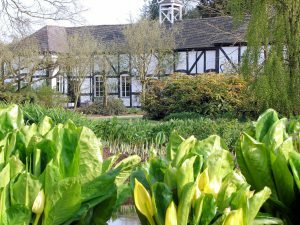 Once the stables for the ‘Vernons’ Tudor mansion, it now functions as the garden tea rooms. The ‘New Hall’ was dismantled in the 1870’s after the current newer Hodnet Hall was built, but the stable block of the ‘New Hall’ remains, and is today used as the garden tea rooms. In 1870, the present Hodnet Hall was built in the neo-Elizabethan style. In 1921, Brigadier Algernon Heber-Percy, with his keen interest in landscape gardening, began development of Hodnet Hall Gardens, now considered one of the best examples of a planted landscape in Britain. The gardens are open to the public at various times throughout the year. Hodnet Hall was used as a convalescence hospital during both world wars. During World War II Hodnet had its own airfield; its role was to store and disperse aircraft from Tern Hill and Shawbury. Aircraft were hidden under camouflage and under the canopy of trees in the area around the cricket ground. The cricket pavilion has been converted from the guards’ sleeping quarters. These inconspicuous buildings functioned as the watch tower for R.A.F Hodnet during WWII. Among the aircraft seen at Hodnet were Spitfires, Wellingtons, Hudsons, Mosquitoes, Ansons and Oxfords. The building that played the role of the watch office (watch tower) can still be seen along the A422, close to the Espley roundabout. 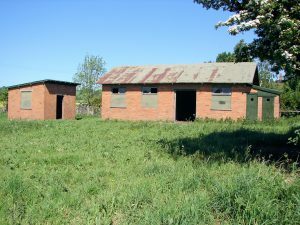 RAF Hodnet opened in June 1941 and closed in February 1945. From early times, and in common with many similar villages, Hodnet was largely self sufficient in all manner of retail and other trading activities. Its local trading heyday perhaps spanned the period from the 1850’s to the 1960’s; after which its railway station closed (victim of the closure of the Wellington to Nantwich line in 1963), and then the advent of mass car ownership saw a step change in public travel and related buying habits. During its heyday Hodnet had a wide variety of essential local businesses, which included several pubs, its own auction yard/cattle market, bakers, clothiers, vet, dentist, railway station, pharmacy and blacksmiths. 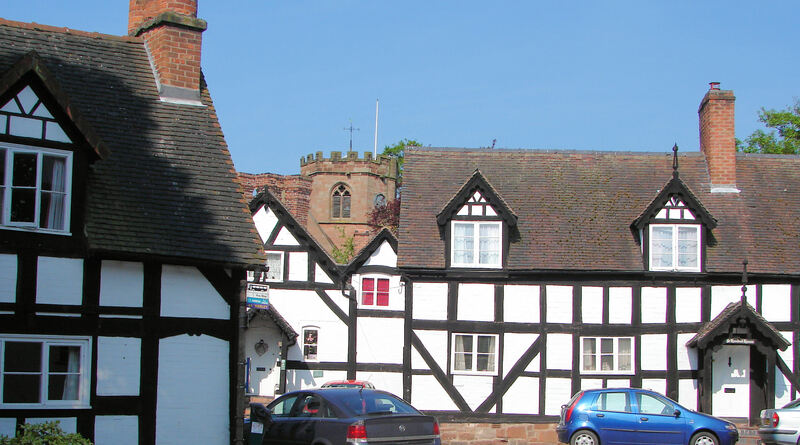 Today Hodnet still acts as a commercial centre of some importance to the local area, whether catering for residents or visitors; and as a result it still has a range of interesting and useful shops and other businesses. For example, it has a general provisions/newsagent store, a butchers, a florists shop, a ceramic ware shop and an antique rocking horse shop. It also has two motor garages, a pub/hotel and a coach hire/travel company; together with essential services such as a school, doctors surgery, church, post office and a retained fire station. Perhaps one of the most readily recognised local businesses is the Bear Hotel, located at the top end of the main street in the heart of the village. This was once a coaching inn with a bear pit, and is reputed to have a resident ghost named Jasper. In the 16th century Jasper, a merchant, was thrown out into the snow on a bitterly cold winter’s night – because he was unable to settle his bill. As he lay perishing in the cold, he cursed the landlord who died that same night of a heart attack. Sightings of Jasper are occasionally reported in and around the Bear Hotel, and one of the dining rooms is named after him.